Easy to relocate, they make the perfect temporary on-site structures, serving as welfare facilities, sleeping quarters, site offices, toilets and storage units. Once the job is finished, they can be quickly and easily transported to your next project. Not all jackleg cabins are created equally. At Portable Building Sales, our cost-effective, durable portable and modular buildings include a range of superior features as standard – making them ideal for year round construction use. With both single storey buildings and double storey buildings in stock, and available for immediate delivery, we can provide a tailored package that’s built around your business. 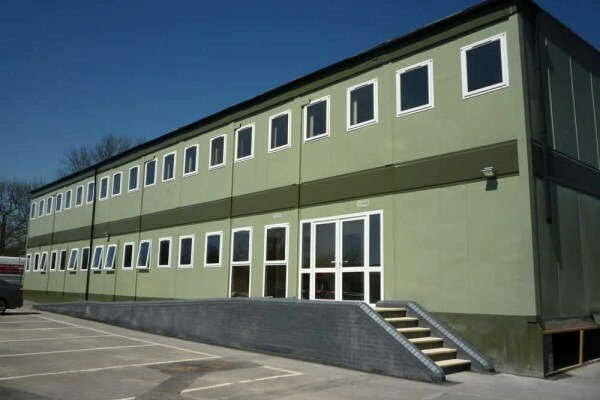 In addition, we can also create fully bespoke modular buildings for the construction sector, which can be manufactured to your exact specifications, delivered and installed to your site in as little as 4 weeks. To discuss your requirements with an experienced member of our team, please call 01482 656590, email contact@portablebuildingsales.co.uk, or fill out an enquiry form today.